RARE EARTH DESIGN STUDIO has a philosophy that extends though all our jewellery and artwork: To make quality pieces with balance and beauty, whether a traditional design or modern abstract piece. For those that are looking for a bespoke piece we find satisfaction in helping them realize their design. ​As the family business has evolved the fundamental values of quality, integrity and client satisfaction has remained the foundation of RARE EARTH DESIGN STUDIO. This evolution has taken place over a 25 year period including the shaping of the next generation artisan to continue the tradition that is Rare Earth DS. Our head jeweller Burt Muller in collaboration with Mike Levendi of LEVENDI jewellers submitted a design, “Cascade” to the prestigious Diamond Guild Awards. 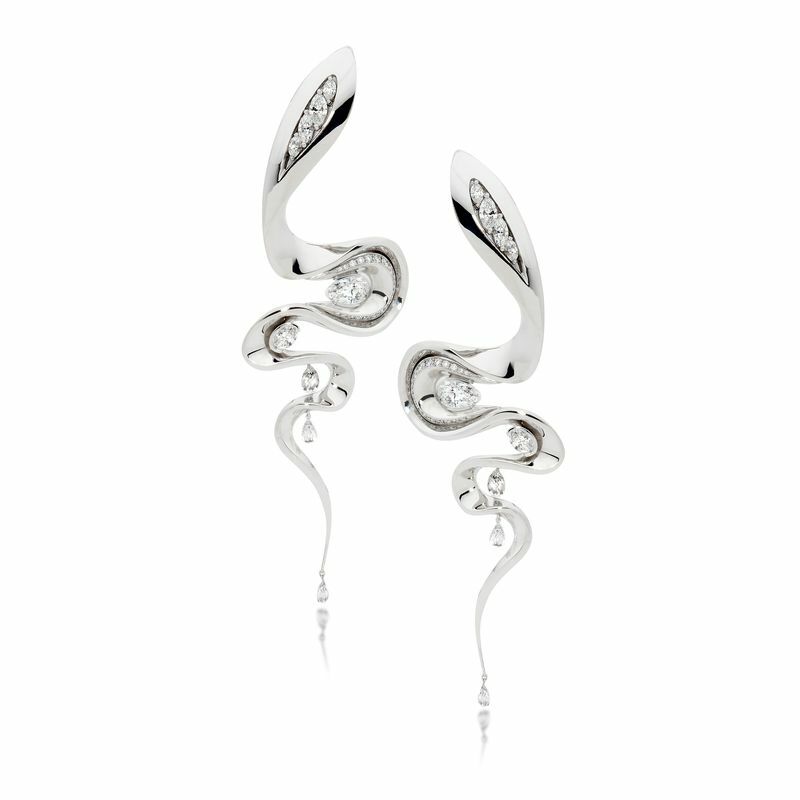 These stunning earrings were finalists in the competition. These awards showcase jewellery design and manufacturing from around the country and is of the highest standard. The design is meant to evoke the movement of water cascading across a landscape. Burt enjoyed bringing his and Mikes design to life. our bricks and mortar business. We are now seeing face to face clients by appointment only . ​ At RARE EARTH DS, quality, integrity and stylish design are the cornerstones that define who we are and what we do.